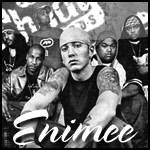 Eminem Forum • View topic - "Battle OD" Tournament - Sign up here! Board index ‹ Creative Central ‹ Rap Battles ‹ "Battle OD" Tournament - Sign up here! "Battle OD" Tournament - Sign up here! I'm interested in setting up a battle tournament called "Battle OD". I'll update this post as people sign up. Reply to say whether or not you're interested! I'll start when we get like 8 people signed up. Audio only - you can't just write out your lyrics without a recorded piece of audio. Must be acapella. You'll be disqualified if you use a beat. Last edited by SarkingMajor on Nov 12th, '14, 01:22, edited 2 times in total. Re: "Battle OD" Tournament - Sign up here!